T-shirt season waits for no weatherman. 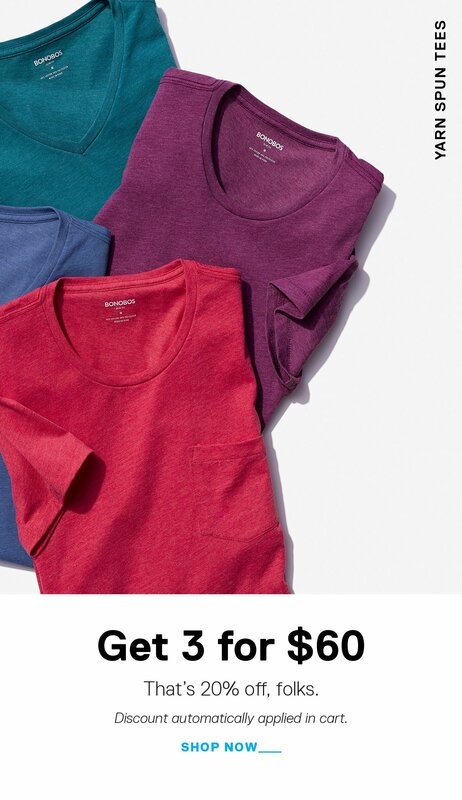 Offer valid on the purchase of Yarn Spun Tees only. Cannot be combined with other offers or promotions. Offer is non-transferable, has no cash value and cannot be applied to previous purchases or the purchase of gift cards. Void where prohibited by law. Terms of offer are subject to change.